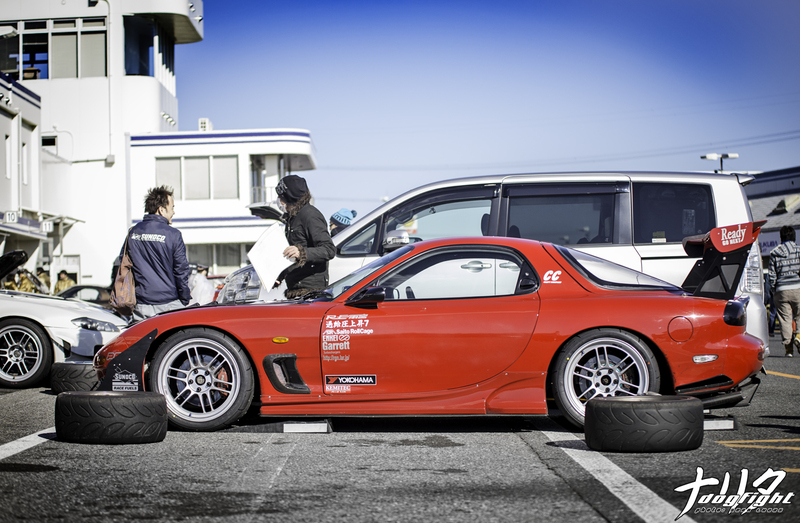 Saitama native Nakashima Tomoyoshi, or Tomo for short, is an avid fan of the RX-7. Unique in many ways, the car has stolen his attention for better half of several years. Before he built the FD you see here, Tomo was the proud owner of a white Savanna FC. The first of his circuit bred cars, the FC opened the doors to many relationships and opportunities that he wouldn’t have been privy to otherwise (cars have a funny way of doing that, don’t they?). One such relationship was with that of RE Amemiya owner, Mr. Isami Amemiya. Isami-san not only served to fuel Tomo’s love of the car, but also became a good friend. 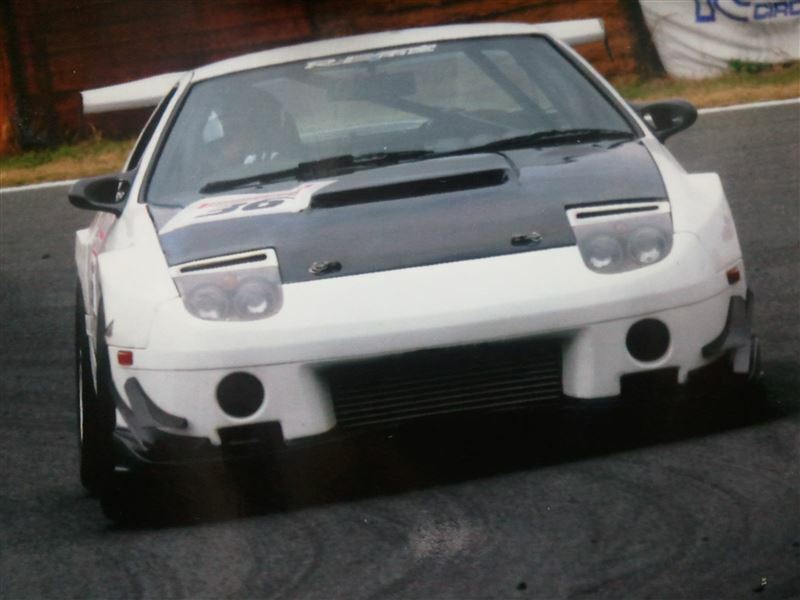 Keeping the FC mostly stock for the first few months, it wasn’t long before the tuning bug not just bit, but devoured Tomo and the car was transformed into a RE widebody, TD06 equipped circuit monster. 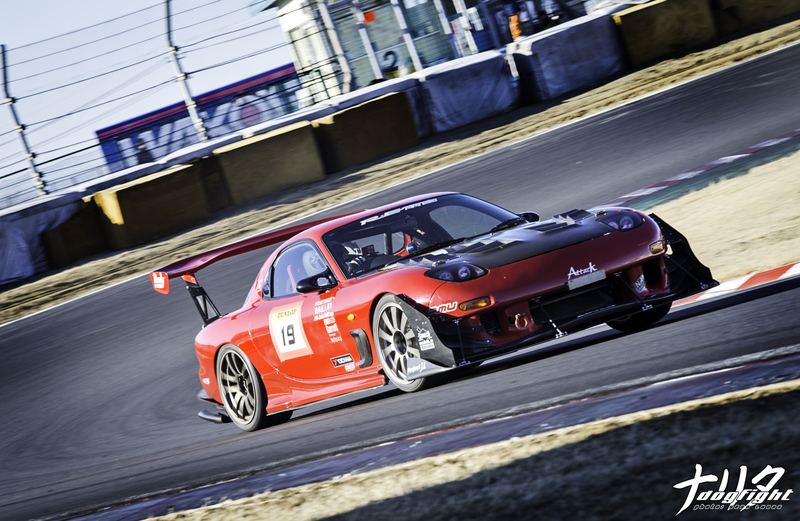 The car was eventually sold to it’s new owner in Hokkaido, and in the interim, Tomo picked up the red FD he now owns and races. 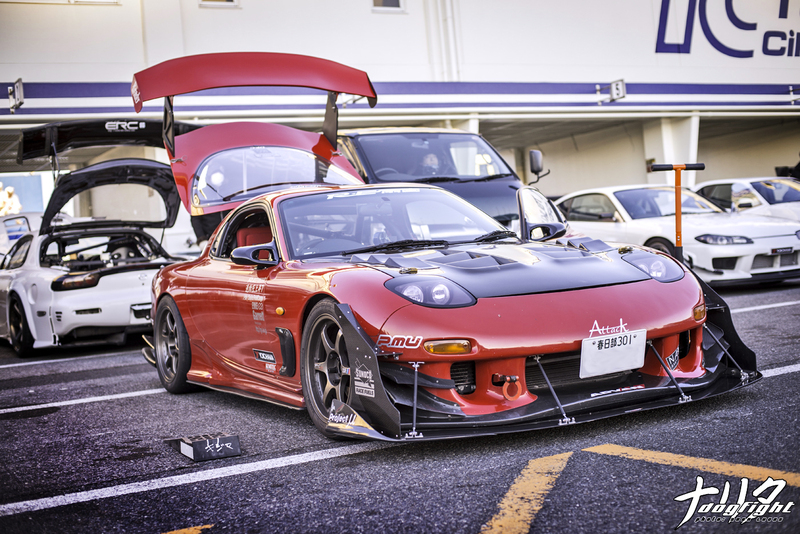 The first time I encountered Tomo and his FD it was at Tsukuba during the second or third Evome event I went to (Winter of 2013 I think?). I can’t remember, but it might have been the first Evome event I went to while this website existed. There’s a fun side fact, I’ve been going to events in Japan since around 2006, but I really didn’t start this site until 2011 or so. Anyway, I recall his bright red FD stuck out like a sore thumb; I can literally see the image in my head as I type this (there, I went back and found it for you). I was on the upper deck of the garages, looking down onto his car that was parked head in. His hood was open, revealing the silver charge pipes. I remember thinking to myself, “Hmm, I like that.”. Not overly impressed for some reason; perhaps because of the current locale and what I was surrounded by. I have to say though, I really, really like what this car has become over the past two years. Flash forward to just last year, and the next time seeing his car; at the Attack Meeting in Doitsumura. His car had gone through a lot of physical changes, mostly in the front aero package. That was during the off season, and a half year later leads us to now. 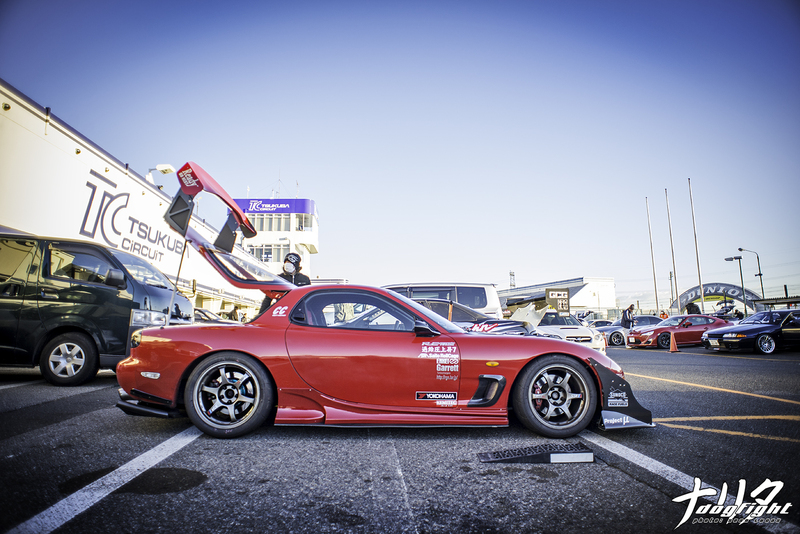 The 2015 season of Evome, where Tomo has set himself a new goal; to break into the 58’s. 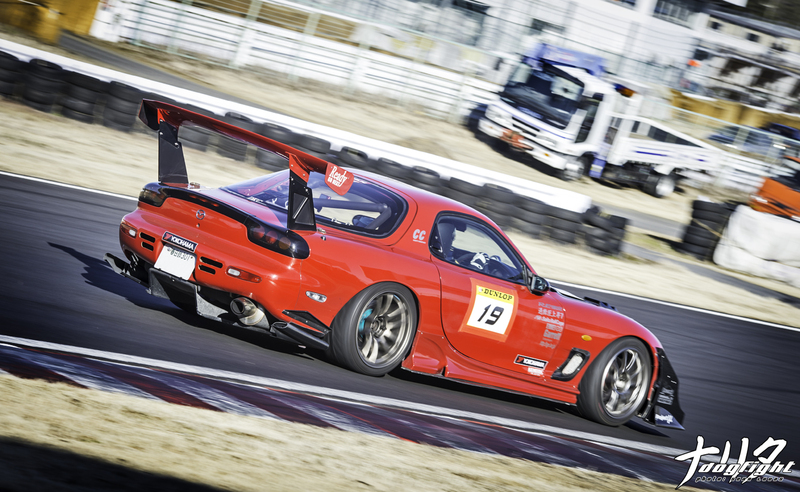 A little off on the timeline, but here is a random picture of Tomo’s previously owned FC, doing what he does best. As I was saying, his current FD has come a long way in the past two seasons. At first glance, you may mistake this for a full out, unregistered track car that gets hauled to events on the back of a truck. You may be surprised to hear then, that he drives this on the street on an almost regular basis – maybe not so much anymore, but he sure used to. In fact, just last November, he made the trek down from Saitama to attend our NDF Winter Cafe. I gotta say though, the car looks much better attacking TC2000. 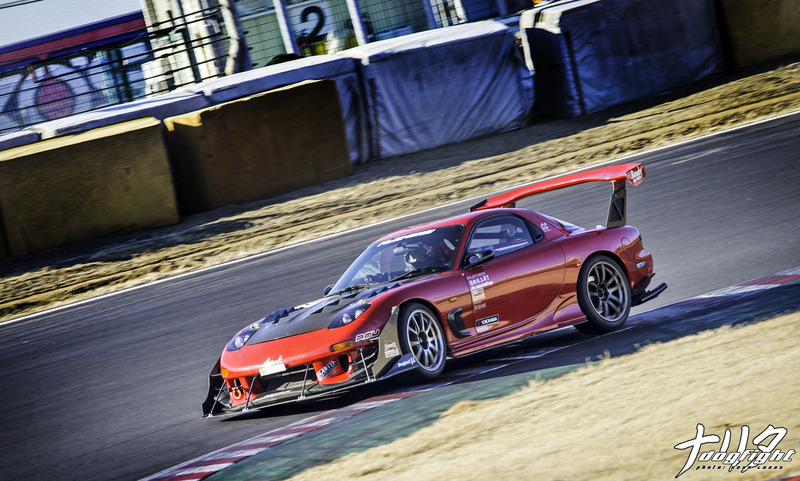 Utilizing a set of Ready Go Next spec DG-5 dampers mated to 16k Swift springs, the FD has no issues gripping each corner of the track. Assisted by, of course, an array of Super Now and RE arms, as well as Lead lower link arms. 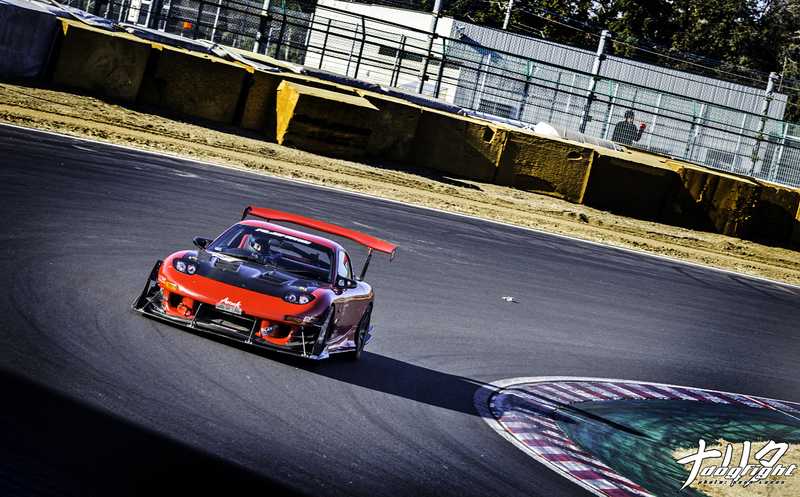 Listening to the mildly tuned rotary powering out of the first hairpin at Tsukuba was, as usual, a beautiful sound. No doubt attributed to the RE Amemiya exhaust system, that’s fed by the Night Sports dual front pipes. While the OEM transmission remains powering through each gear, a 4.7 final gear has been installed to better suit TC2000. The shifting is assisted by an ATS twin carbon clutch, and a Mazda Speed 2-way differential helps get the power to the 265 A050’s. I really like the way the custom GT wing mounts look from this angle (wouldn’t mind a setup like this for the Civic :P). You can also get a good look at the Saito roll cage here. Like I mentioned previously, the car’s interior remains fully intact; including air condition, stereo, etc. On top of that, Tomo refused to go wide-body until he hits his goal of 58 seconds around TC2000. That’s why, despite the plethora of RE exterior pieces, the fenders remain stock – that’s dedication. With his current personal best set at a 59.793, that was actually set at the Evome event I took these shots at, he’s not too far off! 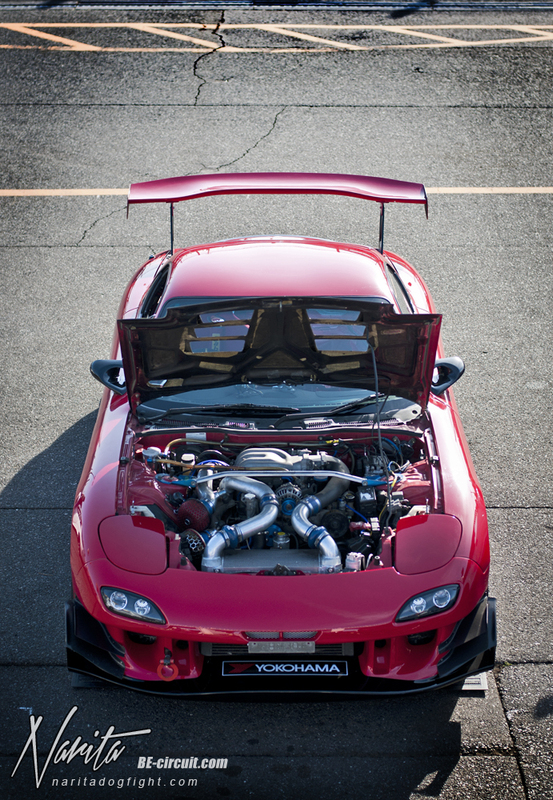 A better look at the front end of the FD. You can see the newer side wing add-ons to the splitter, as well as the Knight Sports V-mount setup. Tomo has always been a supporter and team member of NDF, and it’s been great following this car over the past few years. We wish him the best of luck in achieving his goal of sub-59, and have no doubt’s he’ll reach it. Reblogged this on Zero Hour Motorsport.